The Cleveland Browns worked out DT Jonathan Hankins as they continue to improve a poor performing middle of their defensive line. They might have passed on Hankins for now but they did sign another player who was at the same workout. Let’s have a look at the latest addition to the defensive line unit. John Dorsey continues to make excellent moves with regards to the Cleveland Browns roster. This time he has brought in another veteran QB to backup Tyrod Taylor. I love this move as it helps take pressure off a potential rookie coming in. More signings have been made by the busy John Dorsey and his new front office in Cleveland. He’s strengthened a weak defensive secondary as well as adding pieces to offensive skill positions. Here’s a look at the second batch of new players we can expect to see in a Browns uniform in 2018. John Dorsey and his front office know what they’re doing and are making some solid moves in free agency that should get the Cleveland Browns back to winning ways. They have been busy adding some quality veteran depth to the roster that will complement the young roster they already have. Let’s have a look at the initial deals. 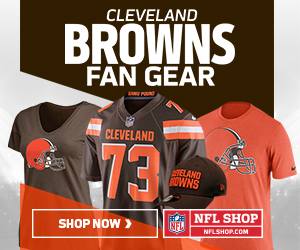 Four players are being reported as the ones on the top of the Cleveland Browns’ shopping list now that the initial stages of the 2018 season free agency period has started. Let’s have a look at who they are. The Detroit Lions and new head coach Matt Patricia are starting to address the huge lack of production that is their running game. Reports have stated that a couple of veterans are going to be in the house for interviews as potential signings. DeMarco Murray on a 1-Year Contract? Just a little bit of pondering by me to while away the hours. Should the Cleveland Browns at least have a look at bringing DeMarco Murray in to split time with the other running backs on the roster now that they will be losing Isaiah Crowell in free agency? Is AJ McCarron plus a QB at #1 in the Draft a Good Idea? I’m not sure that having an unknown entity like AJ McCarron and a head coach like Hue Jackson is going to be good for any rookie QB coming to the Cleveland Browns this year. Here’s my early thought process on the possible situation after free agency and the draft have been and gone. YAY! It’s nearly time for the NFL free agency and draft period to start, which means it’s time for all of us fans and all the insider media guys to start telling everyone else what we think will happen during this fun period of the season. Here’s my initial list of players I’d like to see the Cleveland Browns go after.